In order to uncover the best kept secret in today’s commercial aviation, this project deals with the calculation of fuel consumption of aircraft. With only the reference of the aircraft manufacturer’s information, given within the airport planning documents, a method is established that allows computing values for the fuel consumption of every aircraft in question. 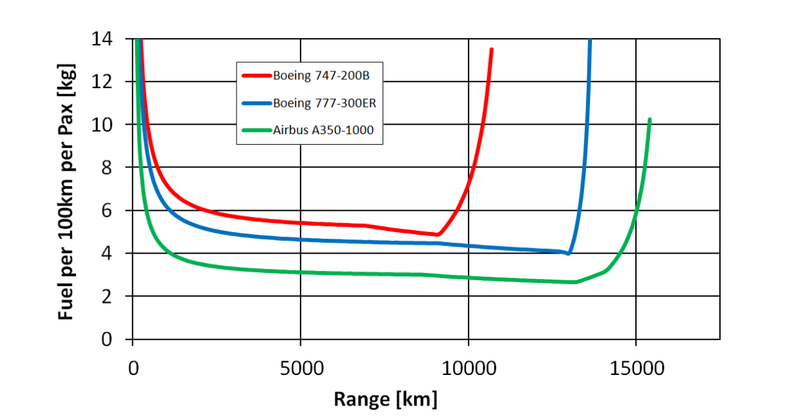 The aircraft's fuel consumption per passenger and 100 flown kilometers decreases rapidly with range, until a near constant level is reached around the aircraft’s average range. At longer range, where payload reduction becomes necessary, fuel consumption increases significantly. Numerical results are visualized, explained, and discussed. With regard to today’s increasing number of long-haul flights, the results are investigated in terms of efficiency and viability. The environmental impact of burning fuel is not considered in this report. The presented method allows calculating aircraft type specific fuel consumption based on publicly available information. In this way, the fuel consumption of every aircraft can be investigated and can be discussed openly. BURZLAFF, Marcus, 2017. 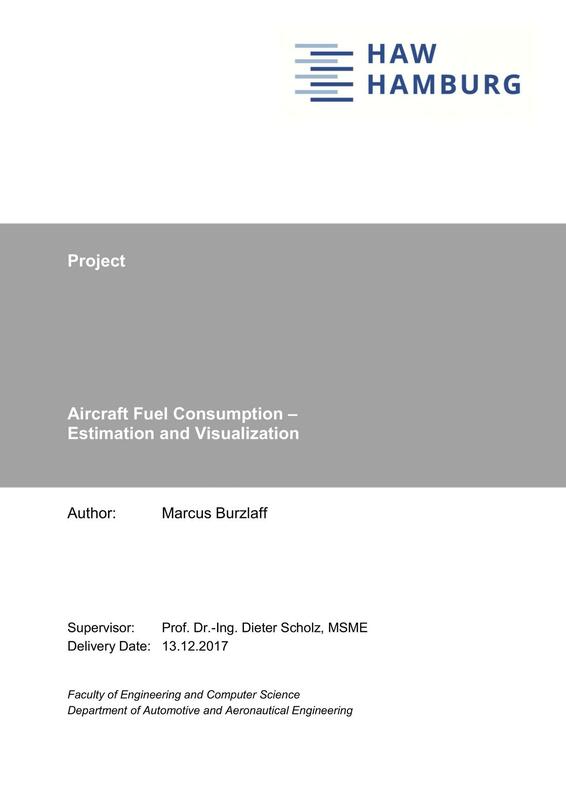 Aircraft Fuel Consumption - Estimation and Visualization. Project. Hamburg University of Applied Sciences, Aircraft Design and Systems Group (AERO). Available from: http://nbn-resolving.org/urn:nbn:de:gbv:18302-aero2017-12-13.019 [viewed YYYY-MM-DD].